I take Olivia to piano lessons every Saturday and her little sister always wants to tag along, which is fine with us. We go various places for lunch afterward and today we went to the mall. 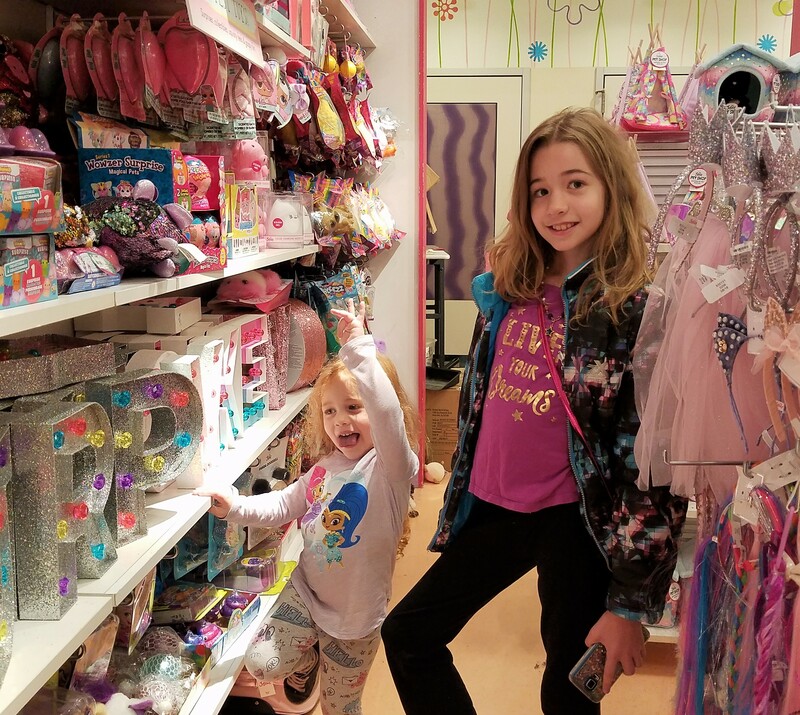 The Christmas decorations are not up yet (thank-you-very-much) but a seasonal toy store has popped up and the the kids were like…uh, kids in a toystore?? Back home, the sun shining on the trees beckoned us to walk down the path… We call our woods Solla Sollew and our little ditch is the River Wahoo. The dropping temps did quick work of coloring the leaves, but the rains cut short their stay on the branches. Now they have have covered the path with a mosaic of orange, yellow, and red while the green still peeps out from beneath. I walk in wonder at the beauty of Autumn. Autumn was at its best this week-end with beaming sunshine, blue skies, and temperate temperatures. 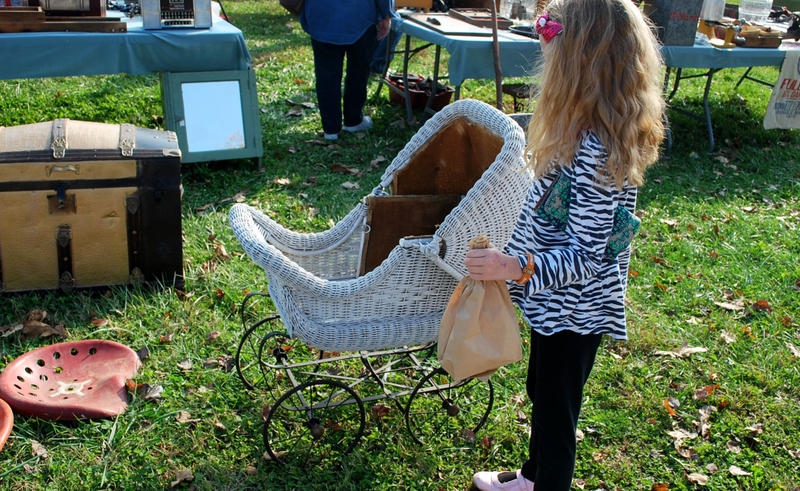 Saturday morning we picked up Olivia and visited the Antique and Collectibles show at the 4H. Not pictured: I picked up 4 Barbies $1 each, because a girl can’t have too many Barbies. I let Olivia take one home with her and kept the other 3 for myself…yes, myself…sort of. Hope you’re enjoying Autumn in your neck of the woods!